Great holiday vibe and excellent course between Dromana on the Port Phillip Bay side and Cape Schanck on the Bass Strait side. That’s a 28km crossing (or 56km double crossing) of the Mornington Peninsula… and not at the skinny bit! Up and over Arthur’s Seat for fantastic rural and coastal views. Through Greens Bush, the largest piece of remnant native bushland on the Peninsula. Along the cliff tops of Bass Straight approaching the lighthouse. 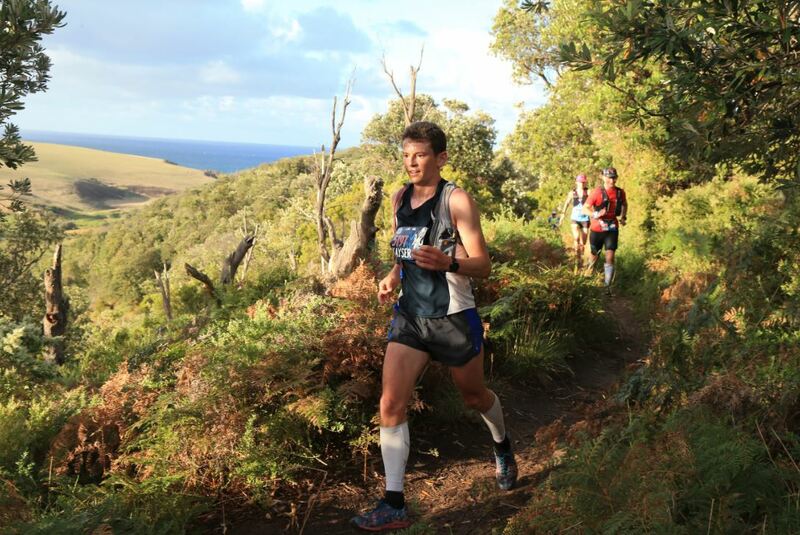 Now capped at 1300 total participants, it’s one of Australia’s premier destination trail events. Book in asap. It’s sold out every year. Status: Approximately 56km trail run with 28km option. Results: For full event results, visit the event website here ; for 56km results search the AURA results site here.